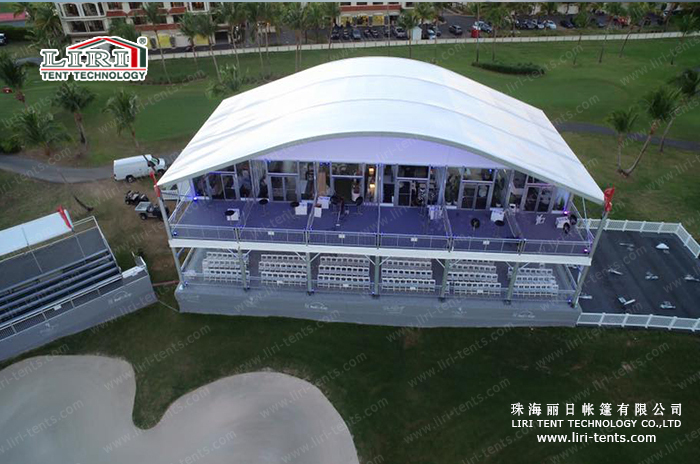 In the field of double decker innovation, Liri Tent keep moving and recently we design a second level can be freely erected in each of our event tent. 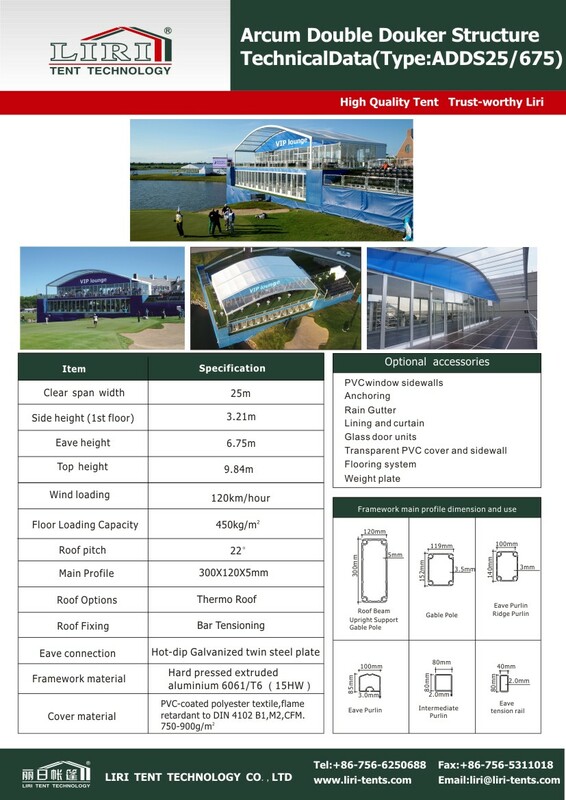 But in addition, a complete upper storey can also be erected inside the two-storey type of tent construction. Suitable for use as a balcony or as a stand-alone gallery, according to individual wishes. Our two-storey tents also make a good figure as an observation platform or balcony at major events. Particularly for VIPs and hospitality, for sporting events and many other events.